We had a wonderful week last week in the Meadowgarten. 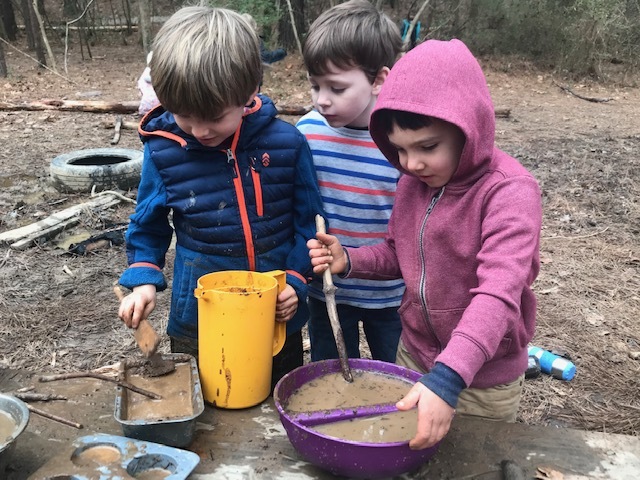 We built a fire almost every morning in the forest to keep warm during the brisker temperatures. 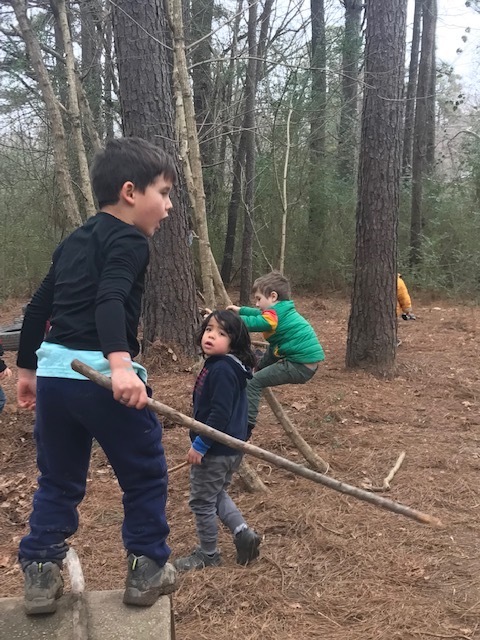 The children helped to collect firewood and sort it into bundles of small, medium and large pieces. 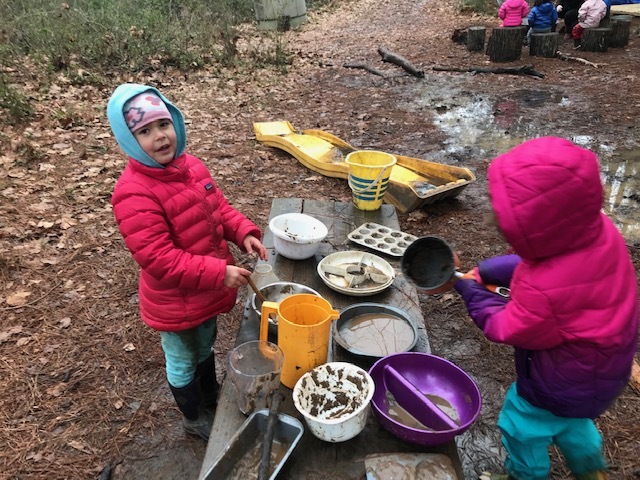 We found beautiful pieces of ice throughout the forest, went on “bear hunts,” and worked hard in our mud kitchen, making all kinds of delicious baked treats and soups. Mandarin class was especially fun for the children this week. Up until now, Ki Serena has spoken only in Mandarin to the children. She is now explaining to them the English translation for many of the phrases and words they have learned. It was so much fun to watch the children light up as they grasped a deeper understanding of the Mandarin language! We are so happy to now have Ki Serena with us two days per week! Thursday was also a very special day. 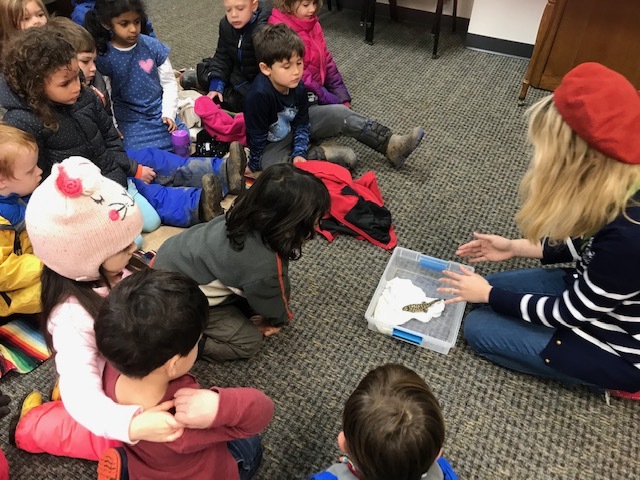 Ki Sonya organized a “Creature Feature” event where our students were able to see and learn about various reptiles and amphibians. We attended this event with our Mountain friends and enjoyed our soup snack together at the picnic tables afterward. 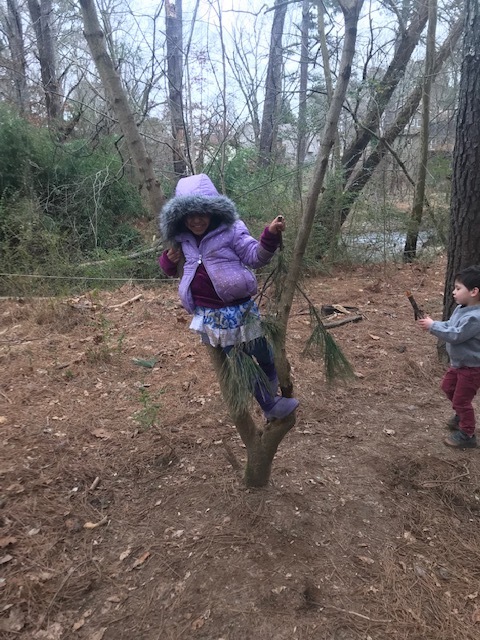 Please make sure that your Meadowgartener comes to school with warm, waterproof boots for play in the forest. The recent rains have left many muddy and wet areas in the forest and it is important for their feet to stay dry. Also, if their coat does not have a hood, please make sure to sent a hat so that their head can stay toasty warm as well.